“Congratulations!” exclaims the pleasant American voice on the end of the line. “You’ve won the holiday of a lifetime! To claim your trip just press 1 on your keypad...” Whatever you do, don’t press 1. Remember the golden rule of scamming: if it sounds too good to be true, it probably is. Telephone fraud is increasingly common in the UK. Prepare yourself by reading our tips – and avoid becoming the next victim. Have you been Targeted by Telephone Fraudsters? Last year Which? magazine revealed that the telephone scam is the UK’s most common form of fraud. One in three adults has received a call offering a cash or holiday prize if they call a premium-rate number. It’s unsubtle but surprisingly tempting, especially if you haven’t heard of this type of scam. People who call the premium-rate number spend up to £1.50 per minute, and – of course – never get a prize. The fraudulent company pockets thousands of pounds. In response, ICSTIS, the UK’s telecoms regulator, announced it was raising the maximum fine to £250,000 and recruiting new consultants to help crack down on this widespread crime. 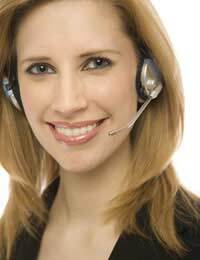 If you pick up the telephone to hear an automated voice, hang up. Under no circumstances should you press anything on the keypad during an automated call (“To see if you’ve won a holiday, press 8 now”). You could be connected to a premium rate line and charged accordingly. Don’t be angry with the salesperson. They’re trying to earn their keep – it’s the company that is responsible for pestering you. If the company calls after you have registered with the Telephone Preference Service, make a complaint to their head office. If they continue to call, register your complaint with the Information Commission. Forget that British sense of courtesy – be direct. Say that you are not interested, thank you, and hang up promptly. Ask for the caller’s full name. Don’t commit to a purchase on the telephone. Ask for some time to think it over and a direct number for you to call back. Try to ‘read between the lines’. If they promise savings, what are their calculations based on? What aren’t they telling you? Don’t be persuaded into giving an answer over the telephone, and make sure you are clear in your responses. Register with the Telephone Preference Service: In theory at least, companies should have express permission to use your personal details to contact you. Unfortunately if you’ve filled out an application form – perhaps for a loyalty card, insurance, or an online account – and failed to tick the ‘do not pass on my details’ box, this translates into your permission to be contacted. When the original company sells its database, your number – and your consent – is sold too. This isn’t the only reason you receive unsolicited sales calls. Unscrupulous companies use any lists they can get hold of – like the phone book – to market their products. This is illegal. The Telephone Preference Service publishes a register of people who have expressly denied consent to be contacted. It’s considered good practice for marketers to check their lists (bought or otherwise) against this register and strike off any unwilling victims. Registration is free; you might also wish to consider the postal preference service, and asking your local post office to stop delivering unsolicited mail. Ask your phone provider for assistance: Your phone provider is responsible for investigating any suspicious calls that you receive. But if you get a large number of sales calls you can also ask them to help you. BT offers a programme called Home Privacy. It’s free to join up. You will get free Caller ID (make sure your telephone has a screen) and registration with the Telephone Preference Service (see above).